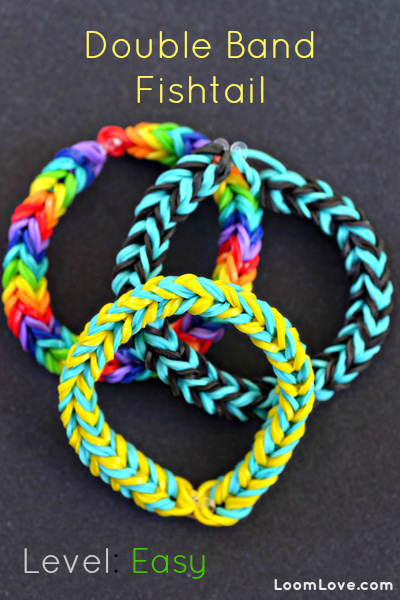 Up for a new Rainbow Loom challenge? 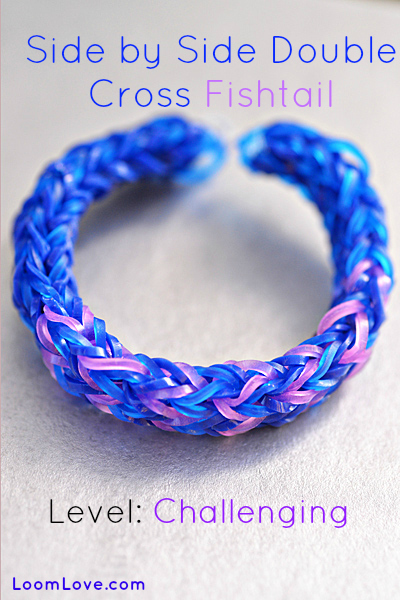 If you are a fan of the Fishtail pattern, you will LOVE the Side by Side Double Cross Fishtail. 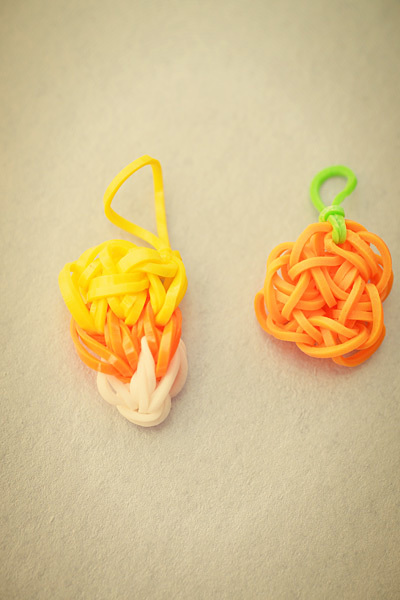 We used our ‘jelly’ loom bands for this. 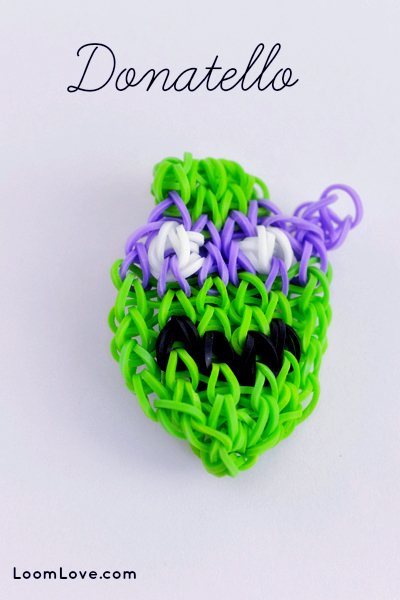 Bet you didn’t know that you could make Teenage Mutant Ninja Turtles with your Rainbow Loom? 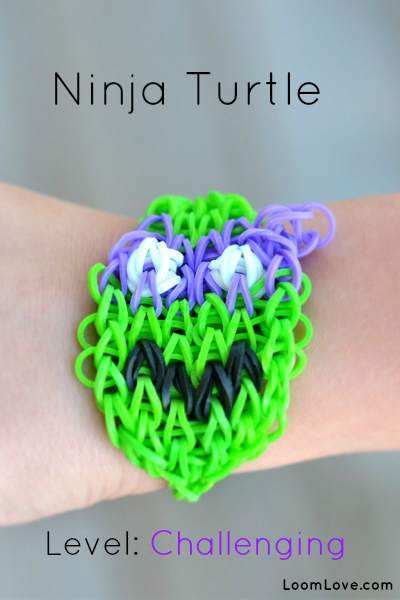 We didn’t either until we found a tutorial on Youtube by RockawayOrthodontics for making Ninja Turtle Bracelets. Brilliant! 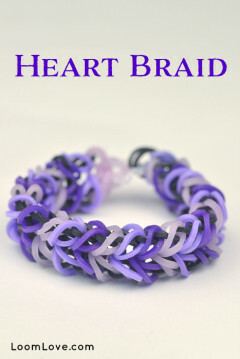 We made this Donatello bracelet last night, and hope to make the other three Ninja Turtles this weekend. 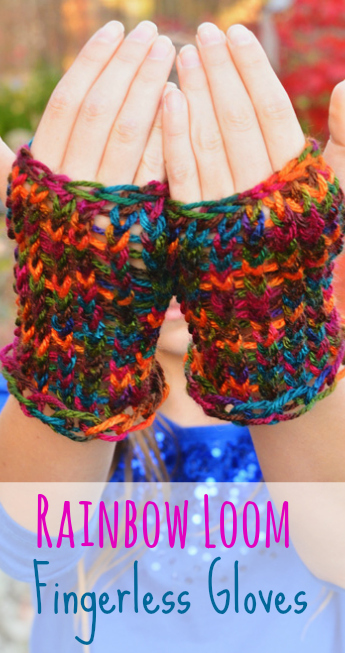 You should have a few challenging patterns under your belt before you attempt this one. 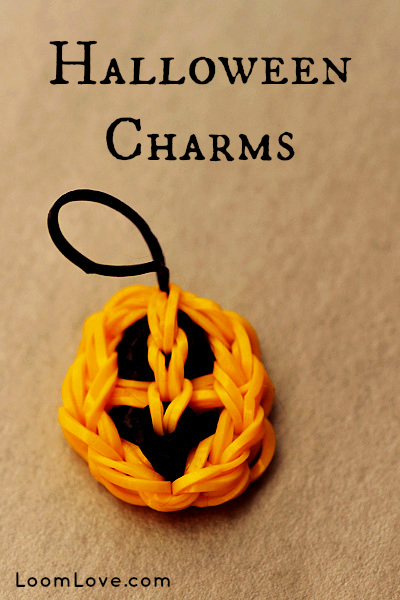 To make the Candy Corn charm we used Made by Mommy’s Candy Corn Charm tutorial. 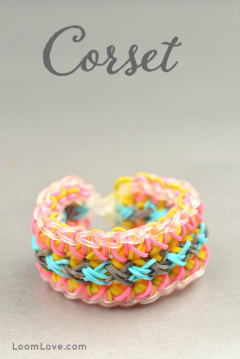 Mixing up your colours is a great way to change the look of your bracelet. 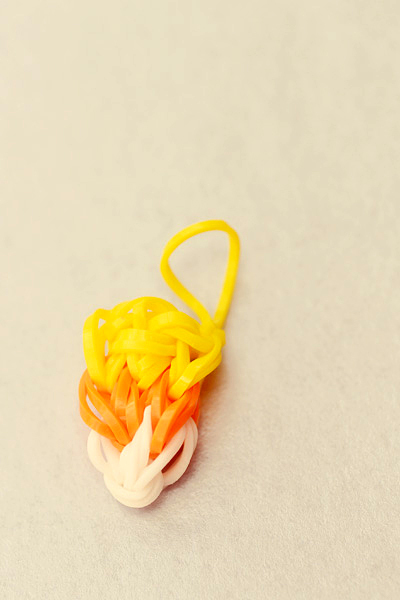 Even the ubiquitous Fishtail can be a stand out when you get creative with the color combinations. 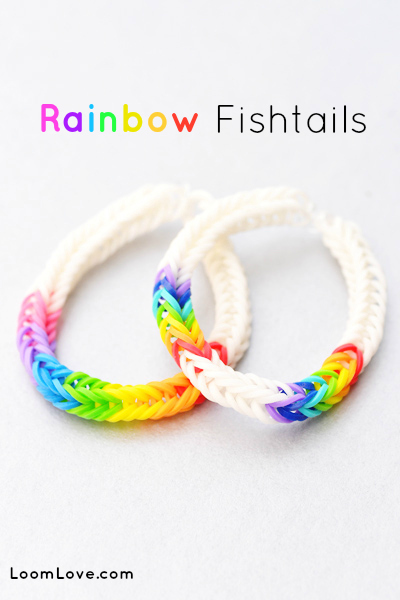 We’ve seen lots of Fishtail bracelets in rainbow colours, but we’ve never seen them done this way. 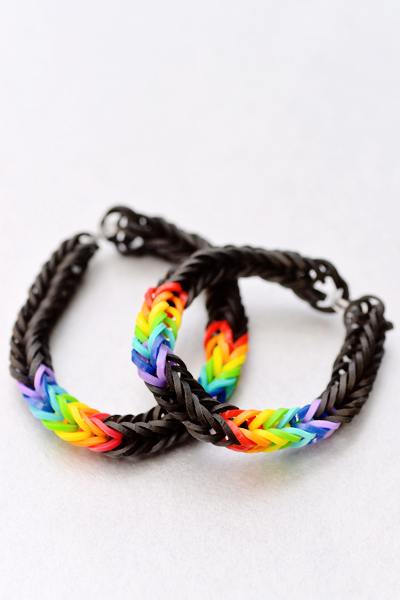 What do you think of our twist on the rainbow pattern? 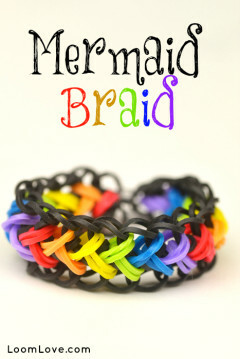 This is another bracelet design that we came up with ourselves. 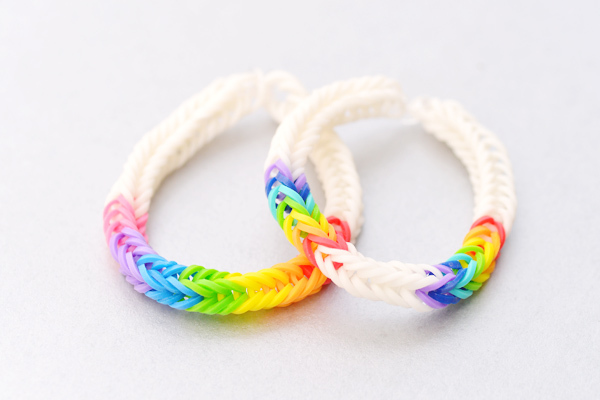 But as we mentioned in a previous post, with a zillion Rainbow Looms out there, we’re sure we’re not the only ones who ‘invented’ this pattern. 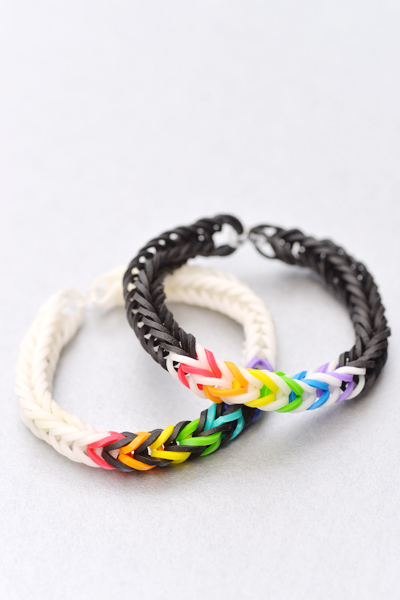 We call this bracelet the Double Band Fishtail. 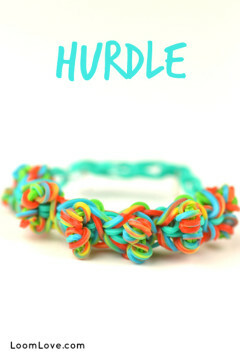 It’s identical to the Fishtail bracelet, except that we doubled up on the bands. 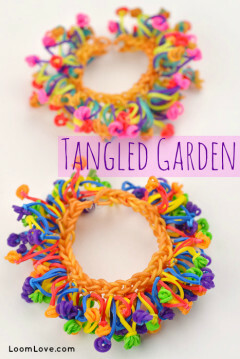 If you are reading this, there’s a good chance that you’re just as crazed over making Rainbow Loom bracelets as we are. There’s also a good chance that you are amassing quite a collection. 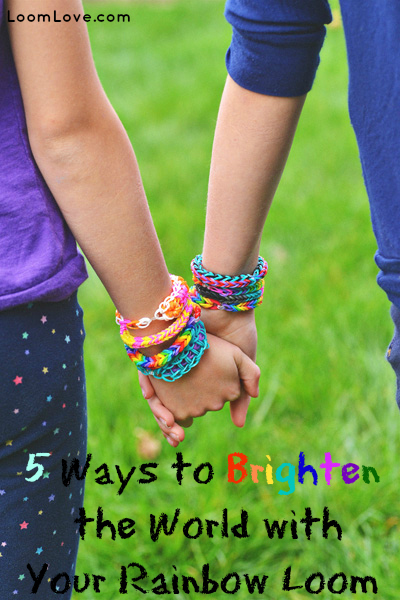 If so, why not use your awesome bracelet making powers to make the world a little brighter? 1. 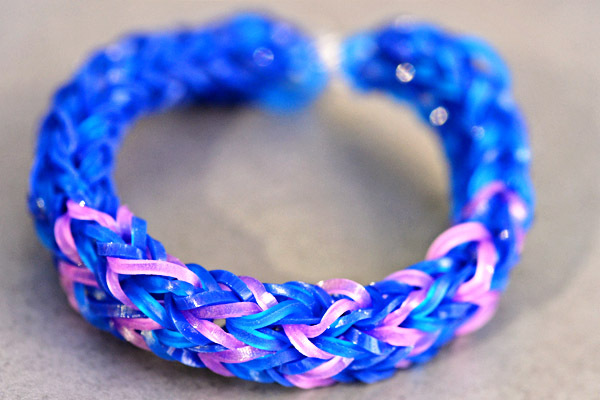 Donate bracelets to Looms for Love, a brand new charity that gives bracelets (along with a handwritten note) to seniors in nursing homes, as well as hospitalized kids. You could even start your own chapter. Read all about it here. 2. Sell your bracelets and give the money to a local charity. These kids raised money for a shelter that helps homeless dogs. These children are selling bracelets to raise money to build a clean water well in Sierra Leone. This little girl has teamed up with her church and is raising money for the homeless. Pick a charity that means something to you and loom on! 3. Got a fabulous uncle, or adorable aunt? Is your grandma the best? What about a special cousin that lives far away? 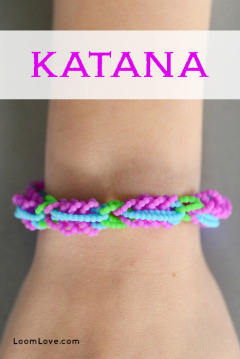 Make their day by sending them one of your bracelets in the mail along with a handwritten note. 4. 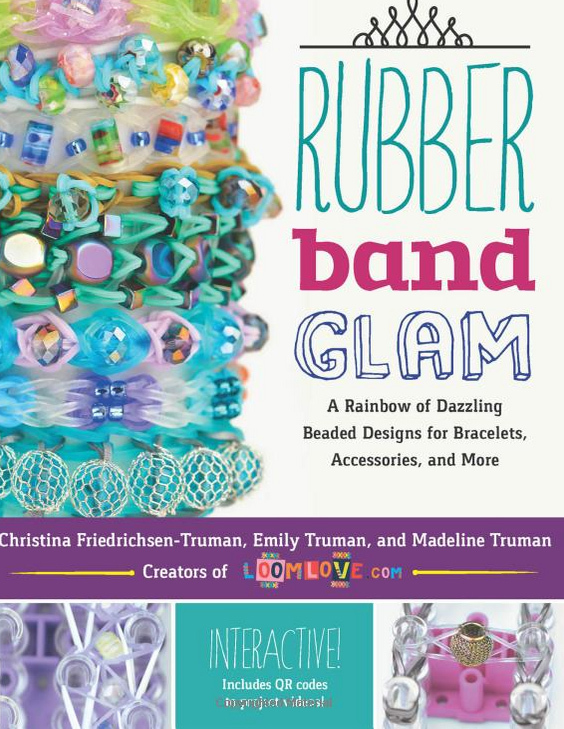 Buy a Rainbow Loom for someone who can’t afford one. (Or get your parents to!) There are lots of charities out there in search of toys at Christmas time! 5. 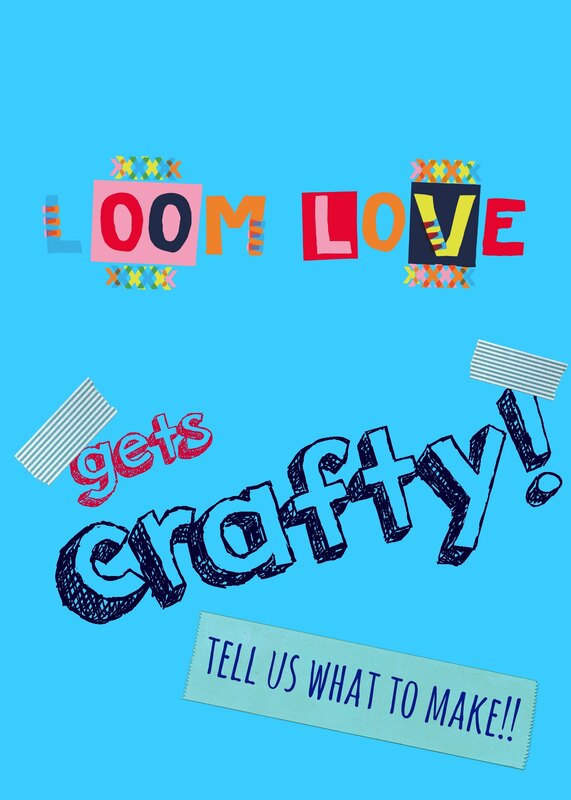 Share your loom skills with others. 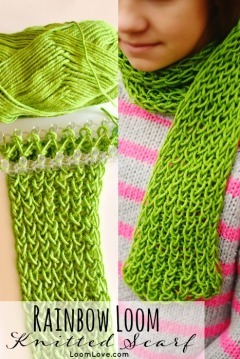 If you’ve mastered a new pattern, pass on your knowledge to others. And be patient! Not everyone catches on at the same rate. 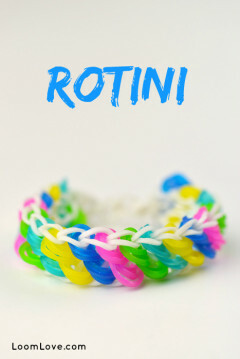 Do you know of anyone who has used Rainbow Loom to give back? 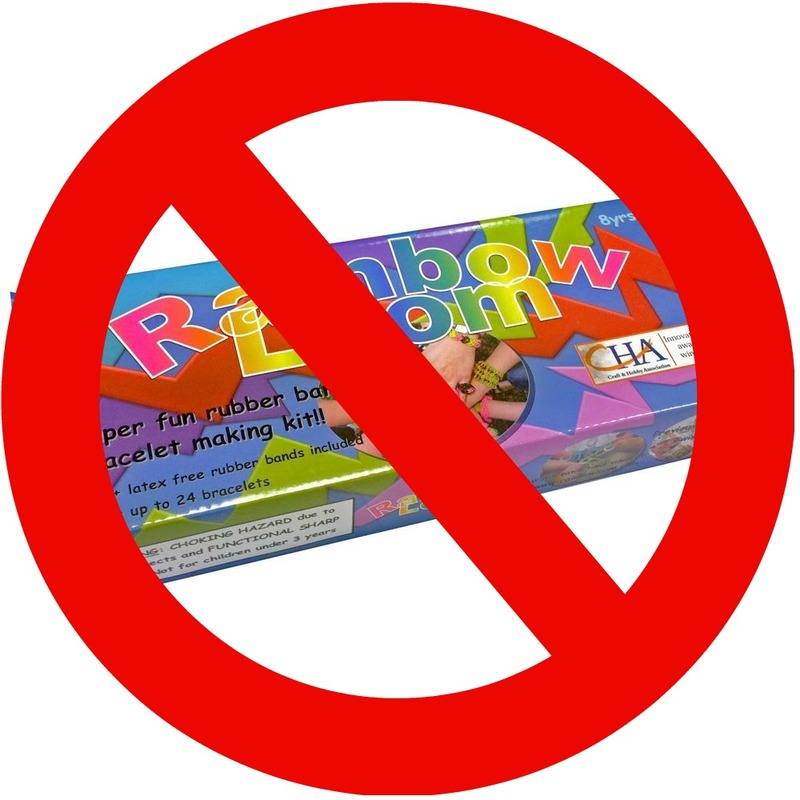 An increasing number of schools are banning the Rainbow Loom; one school in the news recently even banned kids from wearing the bracelets. 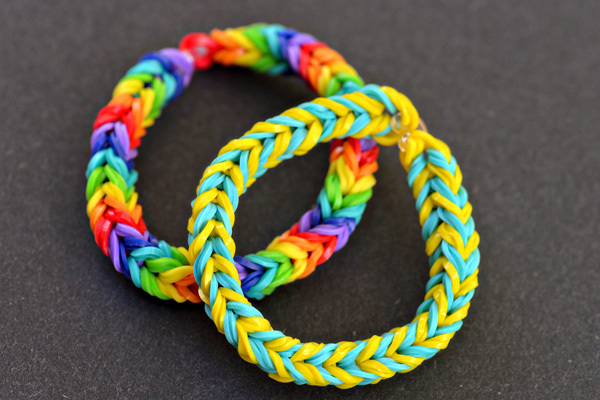 What do you think of schools banning the Rainbow Loom? We hope our school doesn’t ban them! 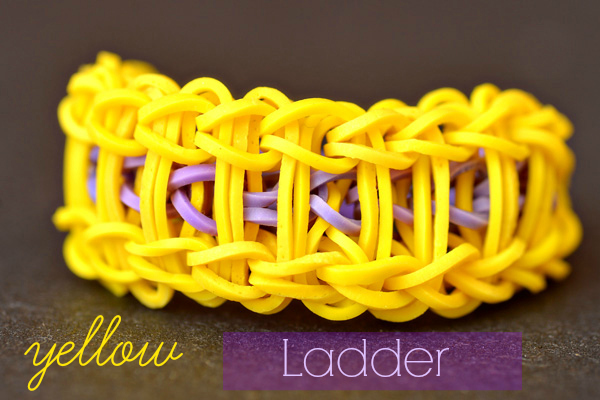 Because you can’t have too many Ladder bracelets. What do you think of this complimentary color combination?